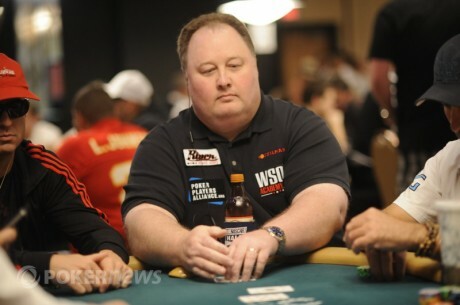 In one of the more honest statements that you’ll find in the poker world, 2004 World Series of Poker Championship Event winner Greg Raymer writes that he is looking for backers for his 2014 tournament efforts. The deal that Raymer is offering is quite an appealing one, considering that he has had a great deal of success since his 2004 Championship Event victory. Raymer is looking to raise a bankroll of $100,000, with one share beginning at $1000, and Raymer has stated that he is purchasing 20 shares himself. During the 2014 calendar year, Raymer will take 40% of the winnings while the investors receive the other 60%. In the event that 2014 is a bad year for “Fossilman,” then the appropriate deductions will be made. Of course, Raymer’s 2004 bracelet win earned him a $5 million payday, but he’s done pretty well since that time. In only three of the years since that victory (2008, 2011 and 2013) has Raymer not at least scored more than $100,000 in tournament winnings. 2009 was his best year since the WSOP Championship Event victory, where Raymer earned $780,927 in tournaments across the United States. In 2012, Raymer used an unprecedented four victories on the Heartland Poker Tour to not only win the HPT Player of the Year award but also take down $374,101 in tournament prizes. All totaled, Raymer has lifetime earnings from tournament poker alone of slightly more than $7.4 million. The practice of selling shares has long been a staple of the tournament poker world. Two of the top three players in the 2013 WSOP Championship Event did this, with third place finisher Amir Lehavot selling shares of his action after he reached the “November Nine” and eventual runner-up Jay Farber selling shares of his action prior to the start of the Championship Event. It is thought that the reigning World Champion, Ryan Riess, also did this, but there has been no confirmation from him or any investors. The Staking Section of Two Plus Two is highly popular as players use this (and other sites) to reach potential investors to alleviate the variance of tournament poker at all levels of the game. Raymer is asking that serious investors contact him through the Two Plus Two thread, where he provides a full explanation of what is involved. For those that have an itch to get in on action with one of poker’s more consistent players, it might be a profitable endeavor.